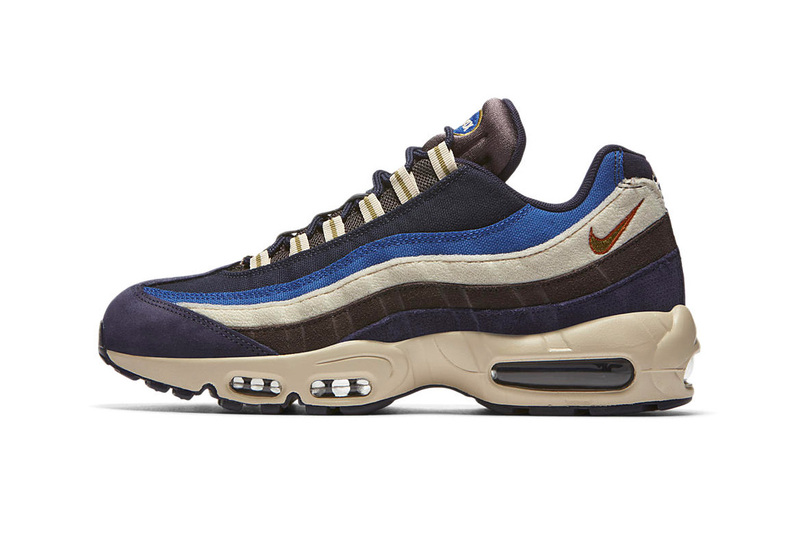 Following up on an NSW-embroidered logo edition, Nike‘s Air Max 95 refreshes in another textile-centric rendition that focuses on a navy and brown palette. This version of the retro silhouette gets the Premium touch with a canvas, suede and nubuck leather upper. Various shades of blue, brown and beige highlight the model’s signature wave-like design, while a beige Air Max sole adds some more throwback style. Finally, embroidered Nike branding at the mini Swoosh and heel counter, as well as reflective 3M material at the laces, round out the look. Expect to see this Air Max 95 Premium colorway at Nike’s web store and select Swoosh retailers in the near future. For more classic silhouettes, check out Nike’s Air Max 1 “Plaid”. Streaming services move into the forefront.